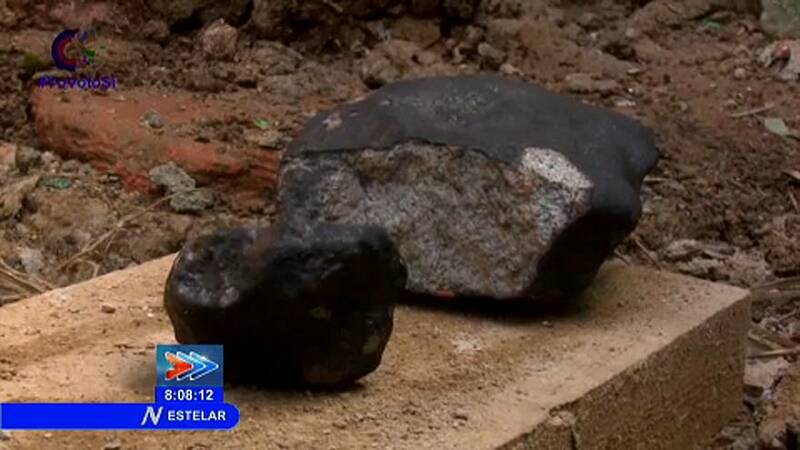 A meteorite strike has hit just outside the city of Vinales in western Cuba. No one has been reportedly hurt. The biggest pieces of rock were between 20 and 30 centimetres wide. A loud explosion was heard in several localities in the western province of Pinar del Rio, said a member of the National Institute of Astronomy. Many Cubans shared photos and videos of the meteorite on social media on Friday afternoon, soon after it fell at 2 p.m. local time. The meteorite was spotted by US weather officials earlier on Friday flying over the Florida Keys.